Home Blog What’s All The Fuss About Copper River Salmon? What’s All The Fuss About Copper River Salmon? The Copper River is the longest “river run” any salmon in the world must make, at over 300 miles. It’s not just the length of the journey; it is also one of the steepest elevation climbs that any salmon in the world must undergo. Together with the icy cold glacier water, this makes for very cold and fast moving rapids that salmon must fight upstream in order to reach their spawning grounds. Despite the name “Copper River Salmon”, the fish are actually caught in the ocean at the mouth of the river when they are at their peak condition. 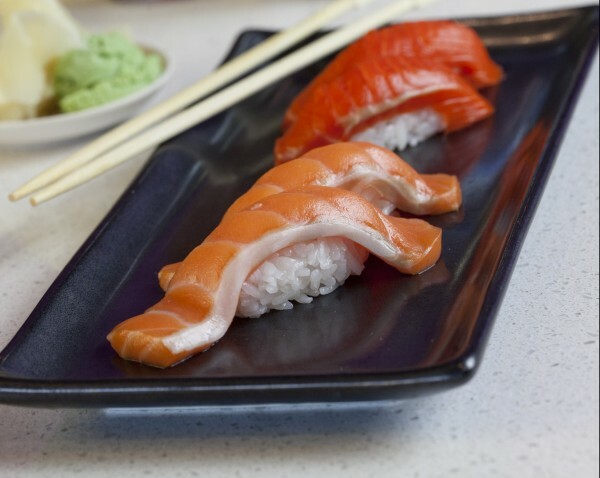 Since salmon do not eat once they begin up river, the Copper River salmon have evolved to store more oil (omega fatty acids) than other salmon in order to sustain the energy requirements for their journey. It is this abundance of oil that gives the Copper River salmon their distinct and superior flavor and buttery texture. Copper River salmon are very strictly regulated and protected. Actually, throughout the Copper River are underwater cameras, watchtowers, and sonar counting equipment. Every salmon is counted as it swims up stream. Only once the pre-determined quota is reached, is commercial fishing opened. The commercial fishing only lasts for a few hours and then closes so that counting to another quota can be resumed. This continues for the duration of the season.